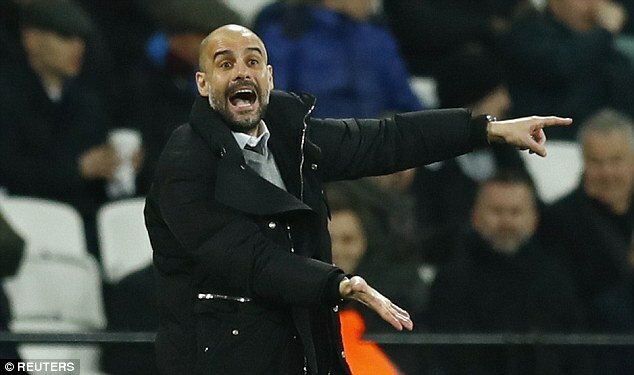 Pep Guardiola says the Premier League title is only Chelsea’s to lose despite Manchester City gaining ground on the leaders on Wednesday night. 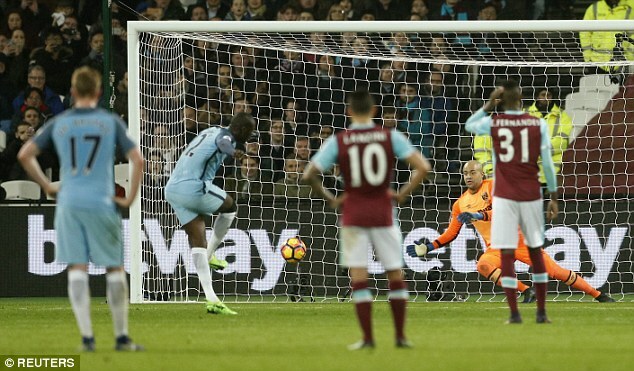 City were the only top-six team to win over the past two days, steamrollering West Ham in a dominant show of strength at London Stadium. 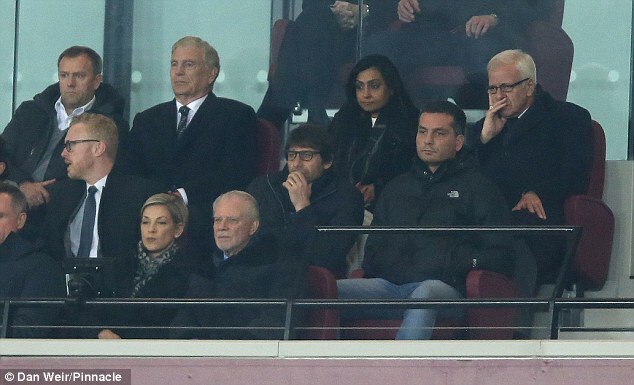 Antonio Conte was in the crowd as the visitors wreaked havoc but Guardiola says the Chelsea manager ‘doesn’t have to be too worried’. 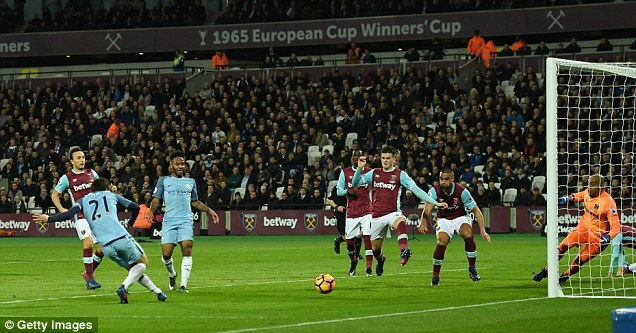 Having heard Conte was watching on as goals from Kevin De Bruyne, David Silva, Gabriel Jesus, Yaya Toure ripped through West Ham, Guardiola said: ‘He’s 10 points in front of us. Only Chelsea can lose the Premier League. I don’t think (that City can pressure them). ‘It’s a mistake to think about Chelsea when you are 10 points behind. You have to think about winning games. We started well, but we’ve been inconsistent since. ‘To qualify for the Champions League and fight until the end, you have to make a good run of victories, otherwise it will be impossible. ‘Only Chelsea can lose it. Look at how many they’ve lost in their last 16 games. They’re not going to lose four or five in the games they have left. Guardiola would not be drawn on whether he would stick with stand-in goalkeeper Willy Caballero for Sunday’s game against Swansea City after dropping error-prone Claudio Bravo. 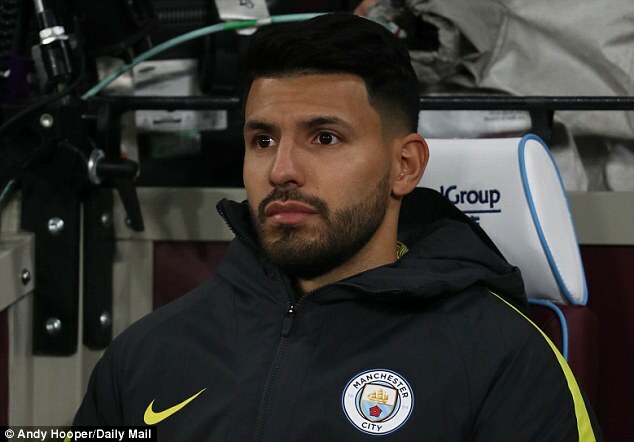 And having witnessed Gabriel Jesus become the first City player to score and set up a goal on his full debut in the Premier League, he suggested the 19-year-old could be paired with substitute Sergio Aguero in future. ‘They can play together,’ Guardiola said. Sergio, for us, remains such an important player. We cannot achieve our goals without his contribution. 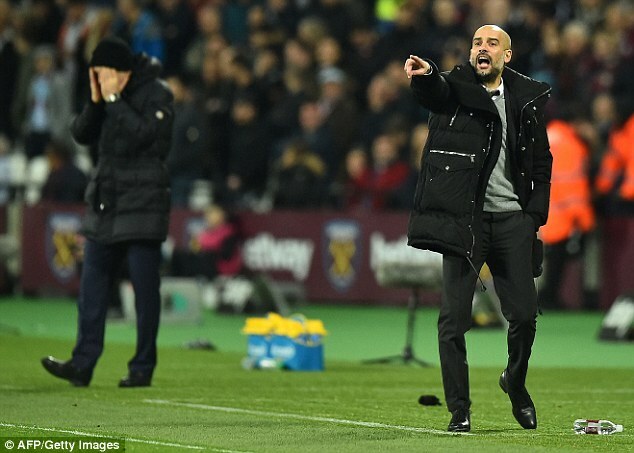 West Ham manager Slaven Bilic said City were ‘unstoppable’ on this sort of form and rued being on the wrong side of Guardiola’s team’s Jekyll and Hyde form again. City were just as clinical last night as they were in winning 5-0 at this venue in the FA Cup just 27 days previous.